Rocket ain't so much confusing as he is usually ahead of his time. 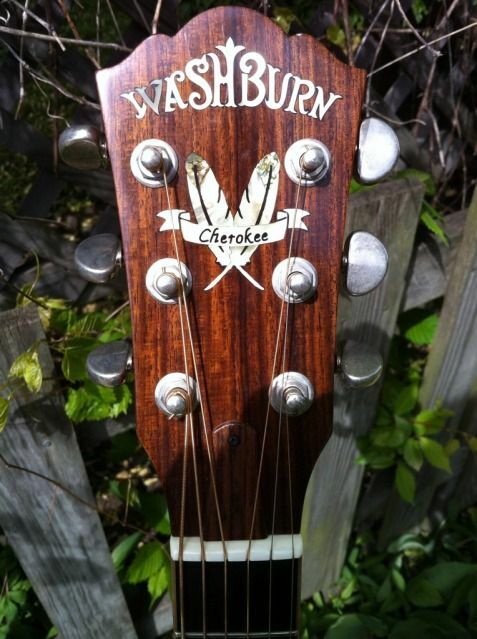 Washburn might consider hiring some smart and passionate idea-people interested in advancing the future of the brand by taking a hard look at its history... Washburn has no good history in the third world. Bring production back to its American roots... what's happenin' currently obviously ain't workin'. You can't possibly think that stopping overseas production is the way to save the company. If that's true, then we need more than smart and passionate idea-people, we need miracle workers who can magically re-arrange the market so that USA made guitars are 90% of our business instead of the other way around. You do realize we have guiars made in America NOW, right? You can't possibly think that stopping overseas production is the way to save the company. It is a pretty odd isolationist viewpoint. Developing countries making the majority of goods that are sold in the developed world is pretty much standard practice for a business of any size unless it survives on some weird kind of heritage status that defies economics. You do realize we have guiars made in America NOW, right? Got any 12 string acoustic electrics? I'm in the market for one, but I want one made in USA. we don't currently have any USA acoustic production, only electric. I'm working on something so maybe in the near future if all goes well. You can't possibly think that stopping overseas production is the way to save the company. If that's true, then we need more than smart and passionate idea-people, we need miracle workers who can magically re-arrange the market so that USA made guitars are 90% of our business instead of the other way around. I'm not going to start with you right now because I still respect you and I don't want it to become a forum THING. I will say that I'm not quite as naive as you might think I am that I don't fully understand the reasoning for manufacturers orderers to farm product manufacture to the third-world. A handful... bit I still haven't seen one. I respect you as well Rocket and i don't think you are naive at all. I won't go into the long rant i had planned on because we all know why we MANUFACTURE in China. You may not believe this but we don't just place orders out of a catalog. I spend alot of time in China as well as a few of my co-workers and we have a guy who lives there full time. As for not seeing an American made Washburn guitar yet, check out Funky Munky or Boogie Street. They have a bunch. PS - i would love to make more guitars in America and we are releasing several new USA made guitars in January at Winter Namm. Our production is only as high as the sales that support it. If we were selling 500 USA guitars a day, we would find a way to produce 500 a day. Sadly, that is not the case. PS - i would love to make more guitars in America and we are releasing several new USA made guitars in January at Winter Namm. Nick, are any of these acoustic guitars? Sure, I have a couple of electric guitars, but I haven't spanked them for a couple of years and I don't see them getting out of their cases for a long time, so you can imagine why I might not be interested in a USA made electric.......but, now, a USA made acoustic might very well interest me--if it weren't a dreadnought body style (and a USA made, all solid-wood classical would MOST ASSUREDLY interest me!!!). So, Nick, is there any hope for anything Washburn other than an electric guitar to be made in the USA? No acoustics currently but it's on my list of things to accomplish before i die.